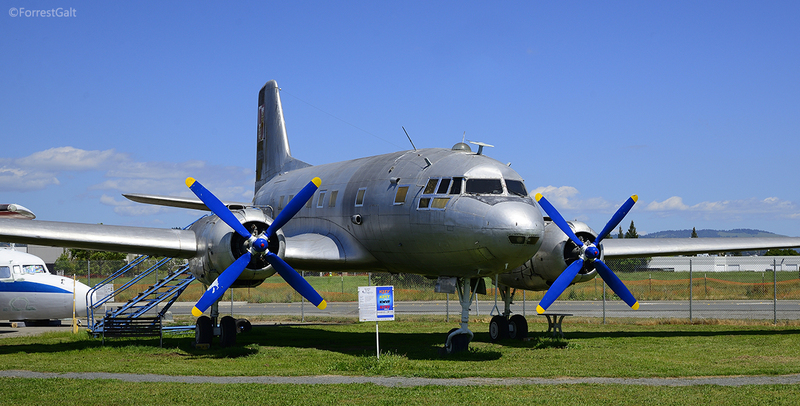 The IL-14 was a Soviet-built personnel transport. Ours was built in Uzbekistan in the early 1950s, and flew with the Polish Air Force. If it looks a lot like a DC-3 with tricycle landing gear, you are right; the Douglas DC-3 was a major inspiration in the IL-14's design. 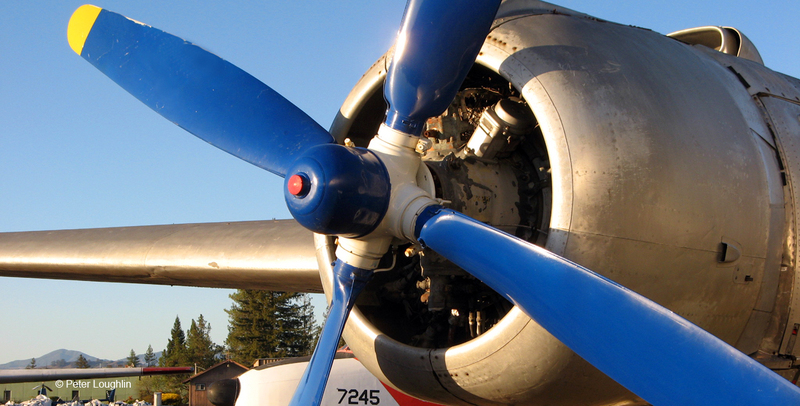 About 1,200 Il-14s were built. 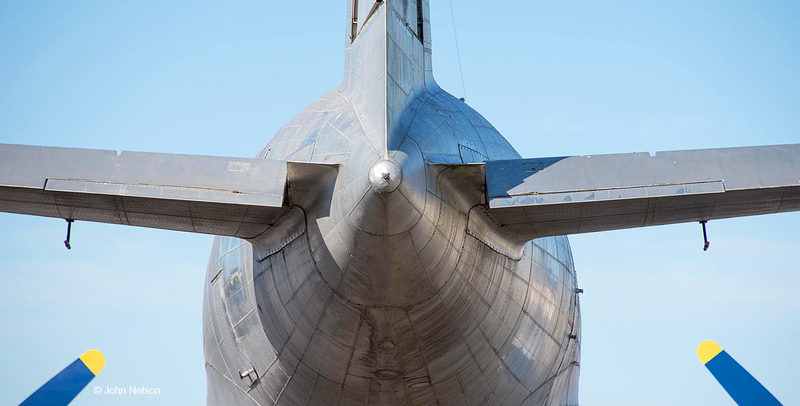 Ours was released by the Polish military in 1987, and by 1992 had through mysterious means appeared at Reno Stead airfield. 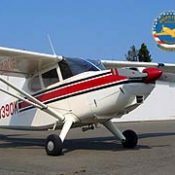 We acquired it from the General Services Administration (GSA) in 1994, and flew it to Santa Rosa. The ASCC (NATO) reporting name was “Crate”. The IL-14 was designed and built by the Ilyushin Construction Bureau. Also noted for the Ilyushin –2 Shturmovik. The Shturmovik was one of the most efficient and decisive weapons of WWII (36,163 were built). To rectify deficiencies of its predecessor, the IL-12, the IL-14 turned out to be a major redesign. The first prototype was flown by V. K. Kokkinaki, July15, 1950, and the type went into service on November 30, 1954. Between 1122 and 1276 (sources vary) aircraft were built, including 80 by VEB Dresden in what was East Germany and 203 by Avia in Czechoslovakia. All but a few of the remainder were built in Tashkent in what was then the Soviet Union. Today, this factory is still producing Ilyushins, the IL-76. The IL-14 was the first Soviet aircraft widely exported to 31 countries. It pioneered many new routes for Aeroflot and it is one of the few aircraft that have seen regular service within the frigid zones north and south of the Arctic and Antarctic Circles respectively. This IL-14 was designed and built in the former Soviet Union, but flew its service life in the Polish Air Force (Polskiego Lotnictuce Wojskowego) which accepted it on June 17, 1955. It was leased by the national airline LOT (Polskie Linie Lotnicze) three times (7/23/65-4/8/66), (5/11/70 – 10/24/70), and (10/16/74 – 4/12/75), but retained its air force markings. This aircraft was cancelled from military inventory on 12/31/87. This plane was noted at Munich, Germany in 1988. 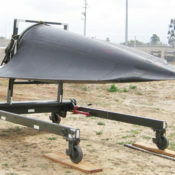 We do not know when it arrived in the U.S. or under what marking it was delivered. (It had red star insignia at one time). Noted at Reno, NV (old Stead Air Force Base) in 1992 and 1994. 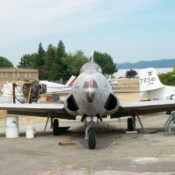 Registered N606RR on 8/19/94 and flown from Stead to the Pacific Coast Air Museum in Santa Rosa, CA. 0606 is one of only two aircraft that Pacific Coast Air Museum could put back in its natural element (AKA Flying). It would be the only IL-14 flying in the Americas and OH!!! What a sound those two big ASh-82t radials would make for the American-airshow-going-public. The first thing we need are the manuals in English. (IL-14s supplied to Egypt and India were in English). Any museum/organization or person that would like to help the Pacific Coast Air Museum make this happen, please contact our Operations Director at 707-575-7900 or Email: Christina Olds. 34 = (GAZ) state aircraft factory 34, Tashkent, which is today the capitol of Uzbekistan.